Industrial production grew at 6.6 per cent in July on the back of good performance by the manufacturing sector and higher offtake of capital goods and consumer durables. New Delhi: Industrial production grew at 6.6 per cent in July on the back of good performance by the manufacturing sector and higher offtake of capital goods and consumer durables. Factory output measured in terms of the Index of Industrial Production had expanded by just 1 per cent in July last year, according to the data released by Central Statistics Office (CSO). 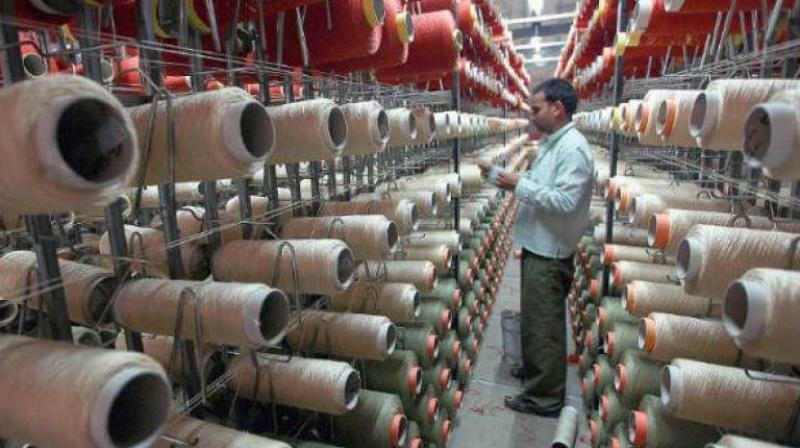 The IIP growth for June was also revised downwards to 6.8 per cent from the provisional estimate of 7 per cent released last month, the data showed. The manufacturing sector recorded a 7 per cent growth in July as against a contraction of 0.1 per cent in the same month year ago. The consumer durables sector recorded an impressive growth of 14.4 per cent in July against a dip of 2.4 per cent year ago. Capital goods production grew by 3 per cent in July as against decline of 1.1 per cent year ago. The IIP growth in April-July period was 5.4 per cent compared to 1.7 per cent year ago. In terms of industries, 22 out of 23 industry groups in the manufacturing sector showed positive growth during July 2018. The industry group ‘manufacture of furniture' has shown the highest positive growth of 42.7 per cent followed by 30.8 per cent in ‘manufacture of computer, electronics and optical products' and 28.4 per cent in ‘manufacture of tobacco products'. On the other hand, the industry group ‘manufacture of paper and paper products' and ‘printing and reproduction of recorded media' have shown the highest negative growth of (-) 2.7 per cent followed by (-) 0.9 per cent in ‘manufacture of machinery and equipment.